Lift09 is over and I only have enough energy to post this intriguing light sign we encountered when visiting the cathedral in Geneva. 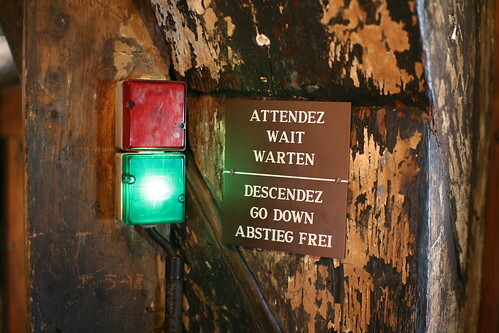 It's supposed to indicate to visitors when they can go down the stairs (to avoid traffic congestion in the narrow staircases). An interesting example of signage.